Adrian Flux Home is one of the leading specialist home insurance brokers in the UK and one of only a few offering a full range of high value home insurance cover to owners of higher value properties and their contents. If you live in a higher value home, or your have contents worth more than £50,000, you will probably have experienced problems getting insurance cover at a reasonable price, if at all. That's where Adrian Flux can help. Our Home & Contents cover will make sure that your property is adequately covered in the event of a mishap, and at a price you'll like. Because higher value homes are, by their nature, a non-standard insurance risk, all our policies are designed especially for your individual situation and our staff have a high degree of knowledge in this field. Finding household contents insurance that covers high value contents, antiques, collections, jewellery and other valuables can be a problem, but with Adrian Flux, it couldn't be simpler. We know which schemes offer you the combination of high quality, high value cover at a lower price than you might expect. 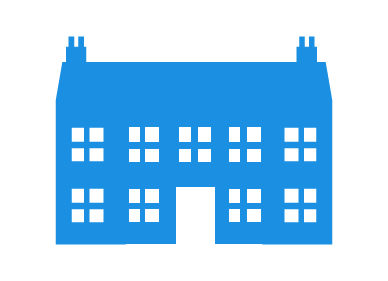 Every high value home insurance quote will receive the attentions of a specialist. Each risk will be individually calculated by our expert staff. Please note that our sales staff are insurance experts not just button pushers and along with our tailor made buildings and household contents insurance schemes for high net worth individuals, we believe we offer the best quotation service around. Quicker & Cheaper rates by phone, please click the button below during office hours (9am to 7pm Monday to Friday & 9am to 4pm Saturday) and we will call you back right now, or at a time you specify, for an immediate high value home insurance quote.